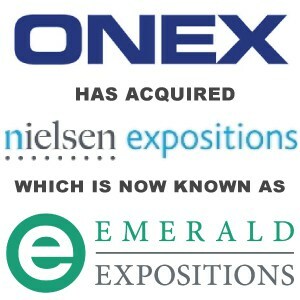 Onex Completes Acquisition of Nielsen Expositions - Berkery, Noyes & Co., LLC. Onex Corporation has acquired Nielsen Expositions from its parent, an affiliate of Nielsen Holdings N.V., for $950 million in cash consideration. Nielsen Expositions is a leading operator of large, business-to-business tradeshows in the United States. Berkery Noyes was an advisor to Onex in the transaction. TORONTO, ONTARIO–(Marketwired – June 17, 2013) – Onex Corp. (Onex) (TSX: OCX) today announced that it has completed the acquisition of Nielsen Expositions from its parent, an affiliate of Nielsen Holdings N.V. (NYSE: NLSN) (“Nielsen”), for $950 million in cash consideration. Nielsen Expositions is a leading operator of large, business-to-business tradeshows in the U.S. Seller Parent:The Nielsen Company, Inc.